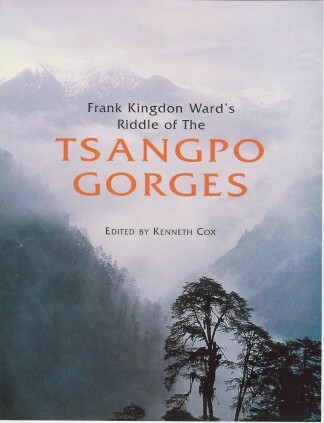 Riddle of the Tsangpo Gorges is perhaps the best plant hunting book ever written. Out of print for over 60 years, it is now available in a lavish new edition. Kenneth Cox and Ken Storm jr have followed in KW's footsteps and penetrated even further into the magical Tibetan mountains and valleys. This is a ravishing combination of 1920s British Adventure and stunning modern day colour photography. Original Text from Frank Kingdon Ward’s 1925 Plant Hunting classic. Edited by Kenneth Cox with new chapters by Kenneth Cox, Kenneth Storm jr and Ian Baker. Several hundred colour and black & white photographs from original expeditions and from the 3 present day authors' 8 expeditions to the Tsangpo Gorges region. The 2nd Edition Spring 2008 includes a new chapter covering conservation issues such as the vanishing tiger species as well as controversial Chinese and Indian plans for dams on the Tsangpo/Siang.